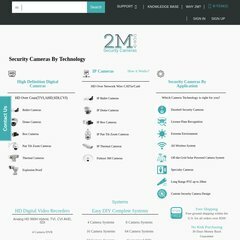 Topics: Ask For Quote, Shop By Industry, Shop By Brands, Cctv Dealers, Cctv, and Fire Alarm. The site has about 2,083 users daily, viewing on average 18.30 pages each. gartner.com Technology Research | Gartner Inc.
Its 2 nameservers are tmns01.2msolutions.com, and tmns02.2msolutions.com. The programming language environment is PHP/5.3.2. It is hosted by Colo4dallas Lp (Texas, Dallas,) using Apache web server. Its server speed is measured at 3689 milliseconds.